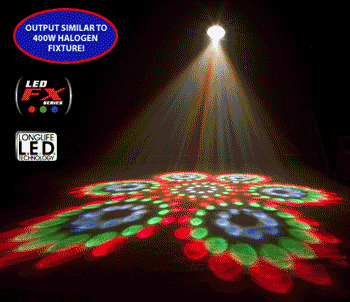 American DJ Revo III LED Effects Lighting DJParts - All Variety of Parts that DJ Needs. 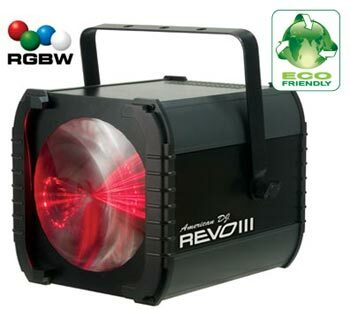 Join the LED REVOlution in special effects lighting with American DJ’s “REVO” LED Effects Series! With the use of the latest LED Technology American DJ LED Moonflower effects produce bright multi-colored beams of light; have a low power draw, produce very little heat and last up to 100,000 hrs! • Weight: 10 lbs. / 4.4 kgs. WARNING! CONCERNING DIRECT SUNLIGHT CONTACT Due to the magnifying type lens, please keep the lens out of contact with direct sunlight. Direct sunlight can cause heat to build up inside of the unit, which will seriously damage unit.